A little while ago, I decided to start a little mini-series on the blog. Have y’all noticed the little “recommended for” blurbs at the end of my reviews? I always recommend a few books for people who like the book that I reviewed. I started doing this on my Twitter as well, where I’d name a book title and name a few books to read if you enjoyed that title. I’ve said this before but Cinder is a book that will utterly shock you. It’s one that I was surprised that I liked, but instantly drew me in with its fresh twists and intensity. Between the elaborate world building and cinematic action, this is one that led to pure escapism. I don’t remember having that feeling since reading the Vampire Academy series for the first time, and that was such a nice surprise. Libba Bray is pretty hit-or-miss with me and this one was a definite hit. After getting through the first fifty pages or so, the pacing immediately picks up and the narrative becomes scattered with sinister motivations, eerie coincidences, and a cult-focused mystery that will not let you sleep. The clear research buried behind every sentence allows the book itself to be so accurately presented, with the glitzy details that let the time period completely saturate the book. If you want a creepy book set in a rich time period, with plenty of plot twists and alternate point-of-views, this would be perfect. Very few fantasies are as refreshing and cinematic as this one was to me. The main character prompted my post on strong female characters in YA. While drawing on several tropes abundant in the YA genre, the vivid vigor and corruption in every chapter were more than enough to satisfy. The world-building was distinct but not overwhelming. 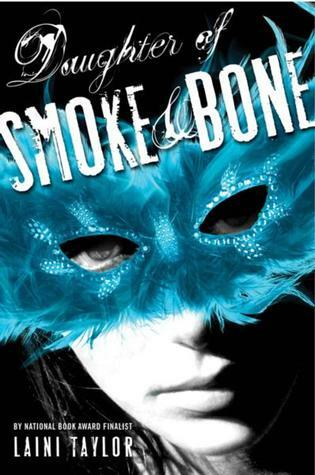 One of my favorite books, Daughter of Smoke and Bone is a phenomenal story focused on more obscure myth and with stunning backdrops of Prague, Egypt, and other exhilarating settings. Between the ethereal main character and the colorful backstories, the pure brilliance behind this book cannot be overstated. Sophie is one of the funniest protagonists I’ve come across (I hardly ever underline in my books and I have so many lines that I was crying laughing over) which really set aside the book in a time when the genre was drowning in similar paranormal stories. The alliances and up-and-downs to magic are explored in this dynamo of a book, with just enough action to keep the plot constantly moving but still with some comic relief. Plus, I love boarding school books. Like in Hex Hall, the main character Evie was a riot. She was emotional, funny, and genuinely kind, while much of that humor came from sarcasm. In the same spirit as Rose, she had that fine balance between stubbornness and a passionate desire to protect the few people she loved. This book packs surprising emotional punches, a well-crafted plot, and some great characters who foster some interesting romances. This is the book out of this list that I feel most mirrors the Vampire Academy. The romances and thought processes of Bianca are similar to those of Rose, while her character is a bit more dialed down. Between the tremendous plotting, pacing, and structure, as well as the characters that you’ll find yourself connecting with almost immediately, both books feature boarding schools based on vampires and stories that compliment each other with every plot twist. 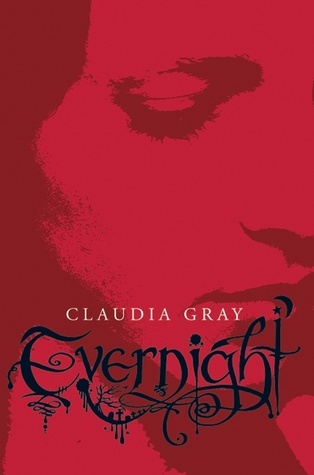 If you’re longing for a similar book, the Evernight series is a great place to start. Claire’s maturity and grace, while still being a character you can connect to, is one of the reasons I was originally attracted to this book. The small-town setting, rather than being stifling, adds an malevolent intensity to much of the danger exhibited in the plot. There were so many great things about this book that made it different from many of the paranormal stories that came out at the time, and contributes to it being in one of my most-recommended series. In addition, I listened to the first few on audio and they’re excellent – if you’re looking for a new audiobook, these come highly recommended. Engaging and taut, this adult novel will not let you put it down. More characters and suspicions contribute to the gripping nature of the story. It’s dreamy and inventive, with characters that you will never stop wondering about and stories within the stories that will leave you reeling. Despite the jumps around in time, the narrative never misses a beat and ties together so elegantly at the end. Everything about this book is imaginative. If you have any requests for some books I should highlight in these, leave a comment below or tweet me with your favorites! What books would y’all recommend for fans? The Premonition series by Amy A. Bartol is easily one of my favorites. I have read several good books including: The City of Bones by Cassandra Clare, Vamprie Academy by Richelle Mead, Marked by P.C. Cast, Sweet Evil by Wendy Higgins, Divergent by Veronica Roth, The Selection by Kiera Cass, Delirium by Lauren Oliver, Caged by Amber Lynn Natusch, Shatter Me by Tahereh Mafi, The Maze Runner by James Dashner, and If I Stay by Gayle Forman. Hope yall enjoy these books, I certainly did.